When you walk into a doctor’s office, you are probably not expecting to fall victim to one of the many medical errors that occur globally each year, but accidents happen—and they can happen to anyone, even at the best medical facilities in the world. Despite everyone’s best efforts, doctors often prescribe the wrong medications to patients or transcribe incorrect information, leading to medical complications and even fatalities. In the United States alone, 400,000 people die from preventable medical errors each year, according to Healthcare IT News. These statistics are grim, but we do have an exciting tool available to help prevent medical errors: big data. By analyzing large healthcare data sets, big data gives us insights and assistance in solving healthcare’s biggest problems. Reducing malpractice is just one of the ways big data is revolutionizing the healthcare industry. Additionally, big data is the backbone of artificial intelligence technology, which will eventually be used to scan cloud-based data to help prevent misdiagnosis and transcription errors. Even now, some hospitals are moving to cloud systems to help reduce errors, and integrate patient records more efficiently. Prescription errors have become a major problem, and big data is one of the tools used to prevent prescriber mistakes. Modern Healthcare reports that MedAware, a new company founded by Dr. Gidi Stein, uses big data to reduce prescription drug errors by scanning patient data and flagging any prescriptions that don’t match up with the records on file. If an error is detected, the drug will not be ordered until the physician confirms the order or selects the correct drug. Current alert systems can catch drug interactions and unusually high doses but are unable to determine if the wrong prescription has been chosen. 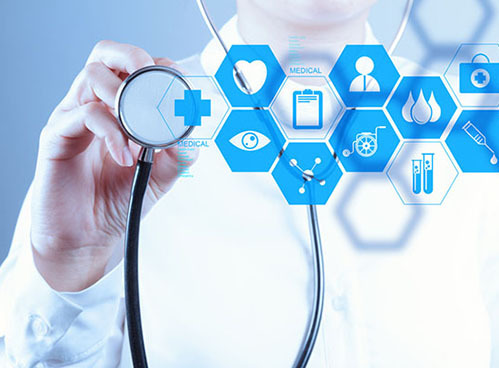 Though MedAware has not yet been implemented into hospital systems, it is currently undergoing testing, and healthcare professionals are extremely optimistic about the potential of the software. Aside from patient safety, the overall healthcare experience can be improved by big data as well. For example, the Cleveland Clinic was able to improve its patient experience significantly by using analytics to examine patterns and determine what patients really wanted. Once they had the data, they created a plan for improving on those areas, which increased patient satisfaction overall. Opioid addiction in the U.S. is a major problem that has been intensifying over the last several years. Opioids are very dangerous when misused, and include both strong prescription painkillers and heroin. Reports show that opioid addiction costs Americans $484 billion dollars annually. Big data is helping to fight addiction through analysis of several aspects of the opioid crisis, including demographics, trends, and pharmacy records by area which allows officials to see patterns of certain patients going to several doctors for prescriptions and providing insights on medical professionals who are writing too many opioid prescriptions. Meritalk notes that in Maynard, MA, an area with unusually high addiction rates compared to the rest of the state, one nurse practitioner accounted for 43.8% of the opioid prescriptions written. Specific information like this helps officials curb addiction by ensuring accountability and helping individuals with worrisome patterns. Many states have seen great success using this approach, with fewer opioids prescribed and fewer patients “doctor shopping” to get access to more prescriptions. Officials hope that more providers will start using electronic prescription systems in the near future to further monitor the activity of opioid distribution. Medical imaging is a vital diagnostic tool and around 600 million imaging procedures are performed each year. Manual analysis and storage of these images are time-consuming and expensive, requiring radiologists to examine each image individually and requiring hospitals to store the images for several years. Carestream explains how big data could radically change the way medical images are read by using algorithms to analyze the information from the pixels and identify specific patterns within these images. This analysis would then be converted into a number for the physician’s use to help with diagnosis—potentially preventing disease instead of just diagnosing it. Currently, radiologists are using this technology as an assistive tool, but one day it may be able to stand on its own, resulting in a more efficient and accurate imaging process. On the surface, big data may seem like just another analysis tool, but its depth and efficiency cuts down on the time and resources needed to solve the biggest problems in the healthcare industry. By using big data, our hospitals, clinics and healthcare providers can provide a safer and more efficient patient experience for everyone, improve outcomes and create better communication. Big data on the prairie?